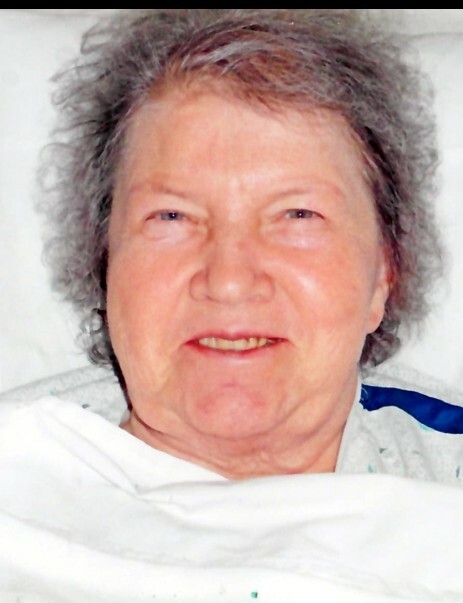 Mary R. Shetler, age 75, passed away at 1:50 a.m. Wednesday, March 27, 2019 at the Bloomsburg Care & Rehabilitation center, where she had been a patient for five years. Born on September 4, 1943 in Bloomsburg, she was the daughter of John Henry and Mary Josephine (Gillaspy) Eifert. A former graduate of Bloomsburg High School, she lived in Bloomsburg for most of her life. She was a housekeeper at Maria Joseph Manor for over thirty years. Mary enjoyed traveling and watching Polka. She was preceded in death by two husbands, David L. Brown and William Shetler, and a son, David L. Brown, Jr.
Mary is survived by five daughters: Judy, husband Thomas Snyder, Mountain Top, Virginia, husband James Cheatwood, Anderson, SC, Diane Thomas, Bloomsburg, Kathy, husband Nicholas Hansel, Dover, Mary, husband Gerald Bredbenner, Millville; a son, Dennis Brown and his wife Kelly, Riverside; twelve grandchildren; and nine great-grandchildren. Funeral services will be at 5:30 p.m. Saturday, March 30 in the Dean W. Kriner Inc. Funeral Home, Bloomsburg, with Pastor Luther Martell of St. Luke Lutheran Church officiating. Viewing from 4:30-5:30 p.m. Interment will be private. Arrangements have been entrusted into the care of the Dean W. Kriner Inc. Funeral Home & Cremation Service, 325 Market St., Bloomsburg, PA 17815.